Diabetes and obesity are arguably the most serious health problems of the 21st century. Tackling both serious health problems is a priority in the scientific and health communities, hence there has been a lot of ongoing research observing processes, proteins, hormones and specific tissues in the body that contribute to these issues so that medications can be formulated to reverse these processes. One such protein that is currently being studied is the Fibroblast growth factor 21 (FGF21) protein that regulates energy and plasma glucose at an equilibrium. It is primarily a liver-derived hormone, but can be synthesised by the pancreas, adipose tissue (fat cells) and skeletal muscle. Diabetes is a result of the body being unable to regulate glucose levels, either by losing sensitivity to insulin (type 1 diabetes), or not producing enough insulin (type 2 diabetes) in the pancreas. Insulin is a hormone secreted by β-cells of the pancreas to control glucose levels in the body. Because diabetics are unable to produce insulin, they are required to consume a varied and healthy diet and exercise regularly in order to control their blood glucose levels. Type 1 diabetics are required to take insulin injections for the rest of their lives, and type 2 diabetics are prescribed medications to help them control their plasma glucose levels1. Type 1 diabetes arises when the body’s own immune system attacks insulin secreting cells in the pancreas, which may be influenced by genetics and viruses. It most commonly arises in children but may develop in adults too. However, type 2 diabetes is heavily linked to carrying excess weight and inactivity, accounting for 90% of the diabetic population. There has been a surge of people diagnosed with type 2 diabetes; statistics show that the number of people diagnosed has doubled in the last 20 years2. This may correlate with the rise of accessible technology and sedentary lifestyles, as well as the growing and ever popular fast food chains. As well as an increase in the number of adults with obesity in the general population, there has also been an increase in the number of overweight and obese children. The NHS Diabetes Prevention Programme has made it a priority to tackle obesity in children, especially considering that both type 1 and type 2 diabetes can lead to serious and life-threatening complications, such as heart disease, stroke, blindness, kidney disease and amputations2. Obesity is a factor that may result in diabetes, but it is also a growing health concern all of its own. It is estimated that every 1 in 4 adults in the UK are categorised as obese, with a BMI (Body Mass Index) over 30. 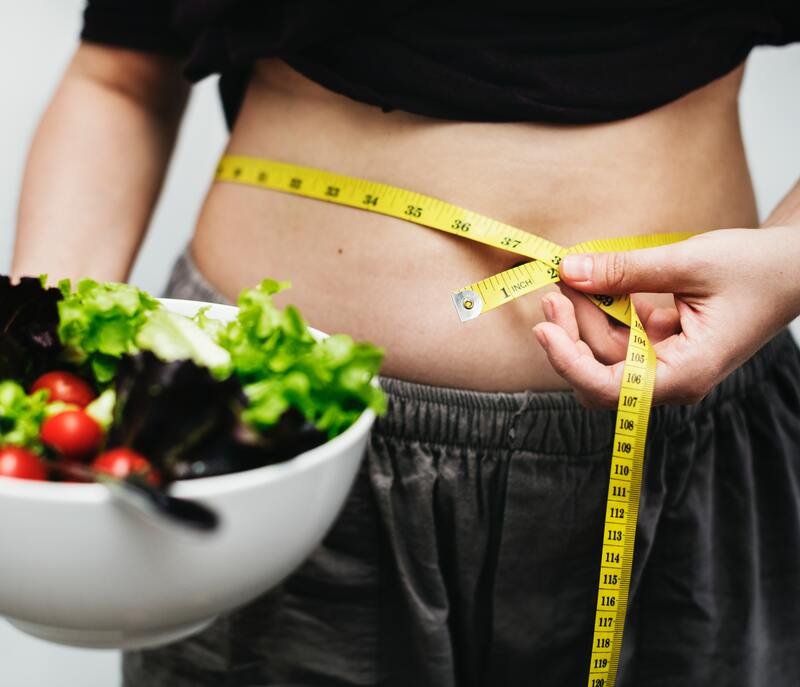 As well as diabetes, carrying excess body fat can lead to coronary heart disease, liver and kidney diseases, cancers (such as breast and bowel cancer), and strokes3. Obesity results when an individual consumes more calories, particularly in fatty and sugary foods, than is burned off through exercise, causing the excess energy consumed to be stored in the body as fat in adipose tissue. In the same way as diabetes, obesity can be treated by exercising regularly, eating a healthy and varied diet. Additionally, psychological support to tackle binge eating can also be provided. In extreme cases, surgery, such as gastric bypass, can be done to reduce the size of the stomach and the amount of food that can be consumed at any given time3. FGF21, the protein hormone that is being extensively researched, binds to FGF receptors (FGFR) on the surface of adipose tissue to mediate metabolic effects, such as increasing sensitivity to insulin and energy expenditure, and decreasing body weight and glucose uptake in adipocytes4. Astonishingly, however, circulating FGF21 levels are increased during obese, diabetic (insulin resistance) and metabolic stress states2. This paradoxical increase in plasma FGF21 may be a homeostatic response by the body to counteract the metabolic stress that obesity imposes. Alternatively, obese states may cause resistance to the action of FGF21, hence the body compensates by upregulating its secretion5. A number of these studies have been conducted by researchers at the University of Nottingham, led by Professor Fran Ebling. The first study observed whether exercise-induced muscular contractions increases the levels of Fibroblast Activation Protein (FAP – a protein that cleaves FGF21 into fragments to inactivate it) and FGF21 in humans. It was found that exercise does not cause the release of FGF21 from skeletal muscle but does release FAP. Therefore, through regular exercise, the release of FAP can facilitate the inactivation of FGF21, hence reducing the likelihood of becoming diabetic and obese6. Previous literature has indicated that plasma FGF21 levels rise when carbohydrates and glucose are consumed. A second study observed whether this rise in FGF21 is due to elevated plasma glucose levels or elevated plasma insulin (a hormone that controls blood glucose levels, allowing it to be stored or used in metabolic processes) levels after a meal. The results confirmed that the stimulatory effect of insulin, rather than glucose, caused FGF21 secretions, suggesting that FGF21 secretion is regulated by insulin after a meal7. A third study looked at whether using an antibody that binds to an FGF21 receptor, preventing FGF21 from exerting its effects in the body, can reduce blood glucose, as well as which tissues are responsible for this blood glucose lowering effect. It was found that antibody-mediated targeting of FGF receptor lowers plasma glucose because this encourages enhanced insulin-stimulated glucose uptake in white and brown adipose (fat) tissue. Therefore, this pathway in adipose tissue may have therapeutic potential for the treatment of metabolic syndrome (MetS)8. The studies above have all contributed to furthering our understanding of FGF21 implication in diabetes and obesity, both of which are of clinical and public health importance, especially considering the sedentary and fast food rich diets of the 21st century. Further research into FGF21-mimetic as a novel therapeutic treatment for both medical conditions is required and currently ongoing, seeing as it has shown promising results in laboratory and preclinical settings. Samms RJ, Lewis JE, Norton L, Stephens FB, Gaffney CJ, Butterfield T, Smith D, Cheng C, Perfield JW, Adams AC, Ebling FJP, Tsintzas K (2017) FGF21 is an insulin-dependent postprandial hormone in adult humans. Journal of Clinical Endocrinology and Metabolism 102:3806-3813. doi: 10.1210/jc.2017-01257.